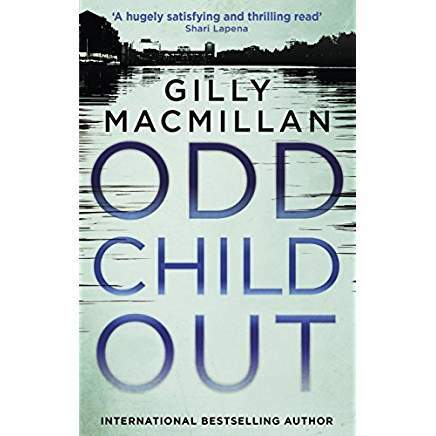 Gilly Macmillan’s third novel Odd Child Out – its predecessors being Burnt Paper Sky (also published as What She Knew) and The Perfect Girl – is proof, were it needed, that Bristol is home to one of the defining voices of not only crime fiction as a genre, but fiction as a whole. With a prose style crafted to engage and enthral as well as create ideas and thoughts that might otherwise be alien to its readers, Odd Child Out evolves into a story of loyalty, of love and of loneliness which on many levels is uplifting and inspiring; a masterclass in creating empathy and sympathy in equal measure. That the subject matter bringing its main characters together is at times as mysterious as it is harrowing is further testament to the author’s skills. Macmillan’s ability in being able to hold a balance between informing and crafting a tale from different view points, and all with such a depth and breadth of understanding, is at times quite incredible. Rather than shy away from the difficult questions, Macmillan confronts them head on and, in so doing, manages to tie the answers together in one neatly tied, tightly bound package. It is not only the tale of Abdi, the young son of Somalian refugees, and Noah, his cancer stricken best friend, that Macmillan handles with such deft care either. Each character, particularly Detective Jim Clemo, is so beautifully drawn their actions and reactions become almost tangibly real in a very immediate sense. As a result, each individual and collective story becomes a living, breathing thing that impacts upon the reader to the extent where gasps are audibly taken as each page turns. The pace of the novel – the action across 400 pages takes place within a space of 5 days – and the interchanging narrative style, combine to serve up a smorgasbord of emotions that constantly switch and swap as each narrator takes the story in a different direction. An effect that leaves us siding with and against each character in turn, whilst always doubting our choices as we move forward. Odd Child Out, in short, is an eyopener and a nod, hopefully, to the future of crime fiction at its very best. In turns a heartbreaker and an out-and-out thought provoker on the most grandest of scales, here is a novel that leads us as individuals to ask “how would we act?” in such circumstances.